Add 1 packet to 16 fl oz of water depending on taste preference. Shake to mix thoroughly. We recommend 1 or more servings per pay depending on your activity level. 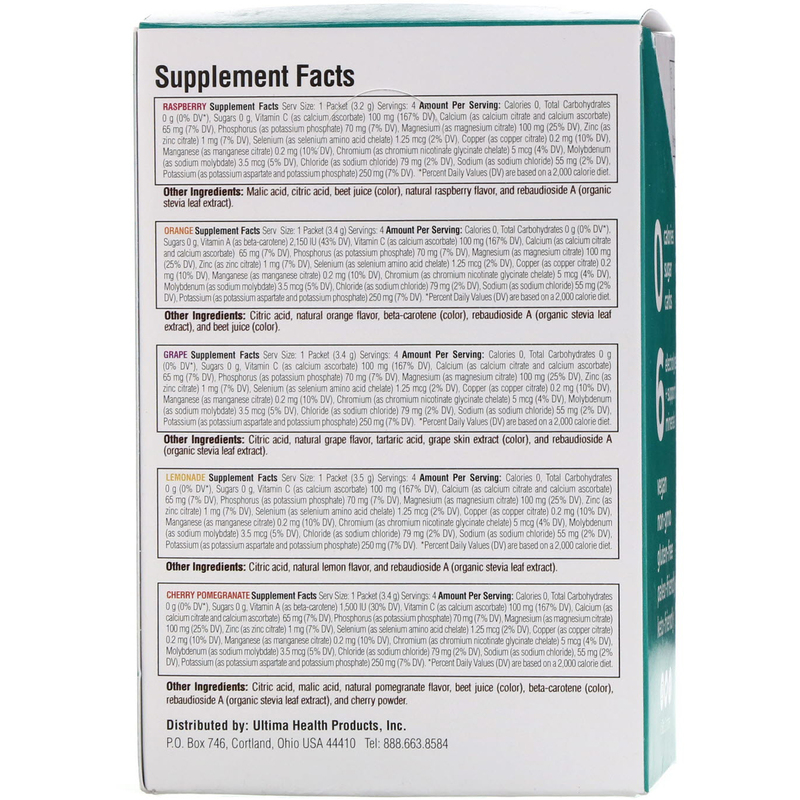 Malic acid, citric acid, beet juice (color), natural raspberry flavor, and rebaudioside A (organic stevia leaf extract). Citric acid, natural orange flavor, beta-carotene (color), rebaudioside A (organic stevia leaf extract), and beet juice (color). Citric acid, natural grape flavor, tartaric acid, grape skin extract (color), and rebaudioside A (organic stevia leaf extract). 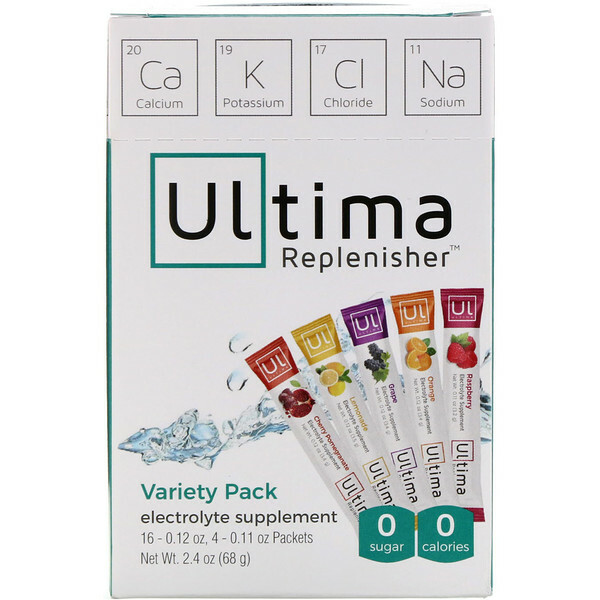 Citric acid, natural lemon flavor, and rebaudioside A (organic stevia leaf extract). 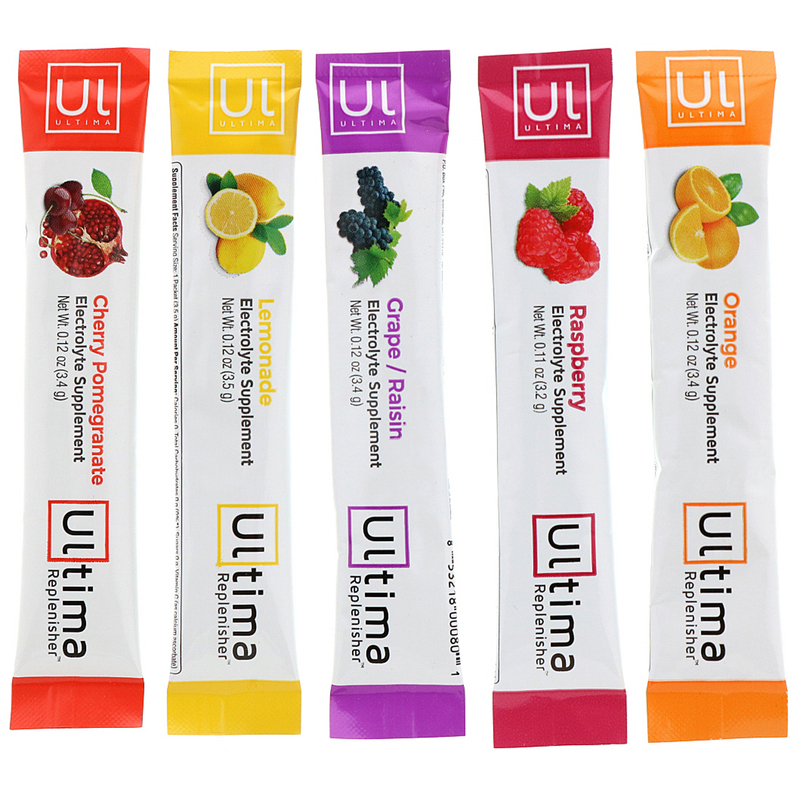 Citric acid, malic acid, natural pomegranate flavor, beet juice (color), beta carotene (color), rebaudioside A (organic stevia leaf extract), and cherry powder. تخزن في درجة حرارة 15-30 مئوية (59-86 درجة فهرنهايت). يجب حمايته من الحرارة، الضوء والرطوبة.